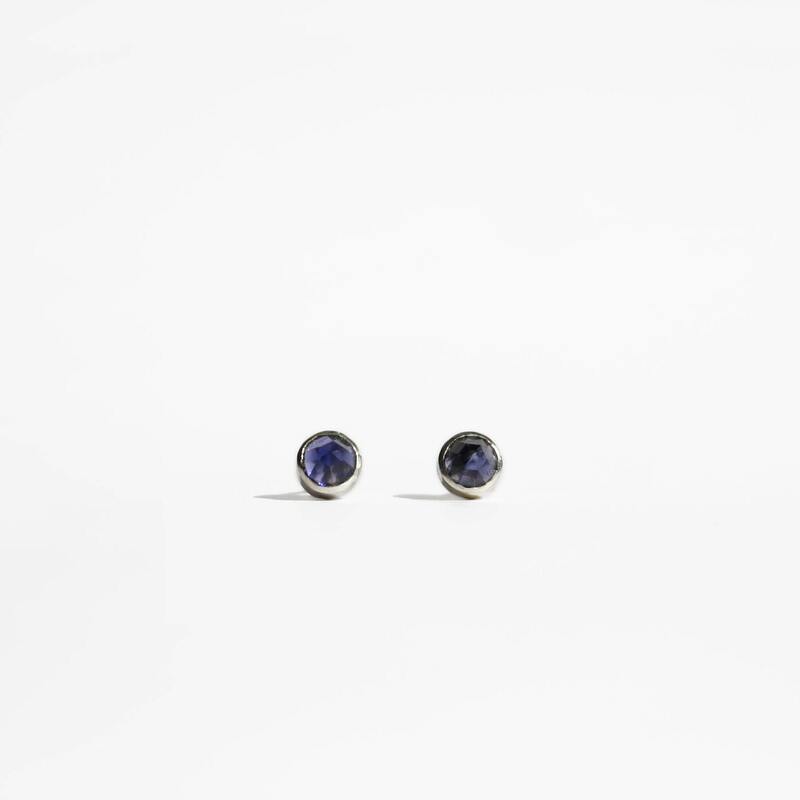 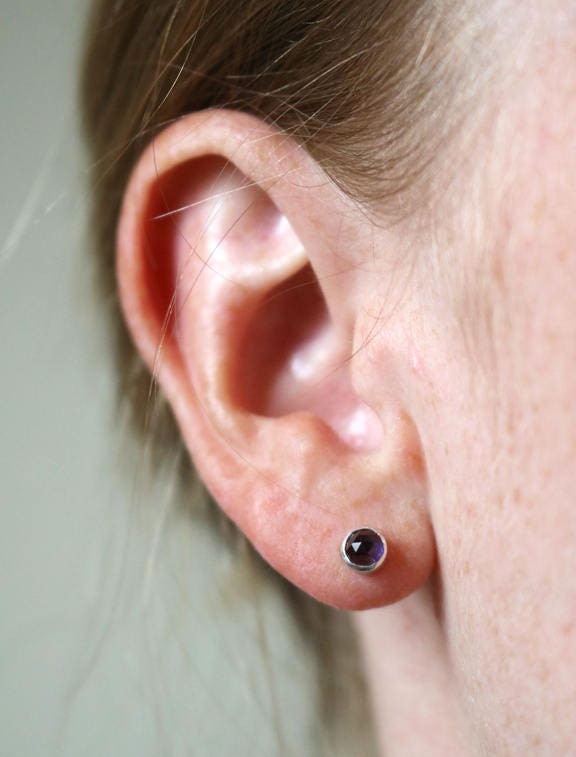 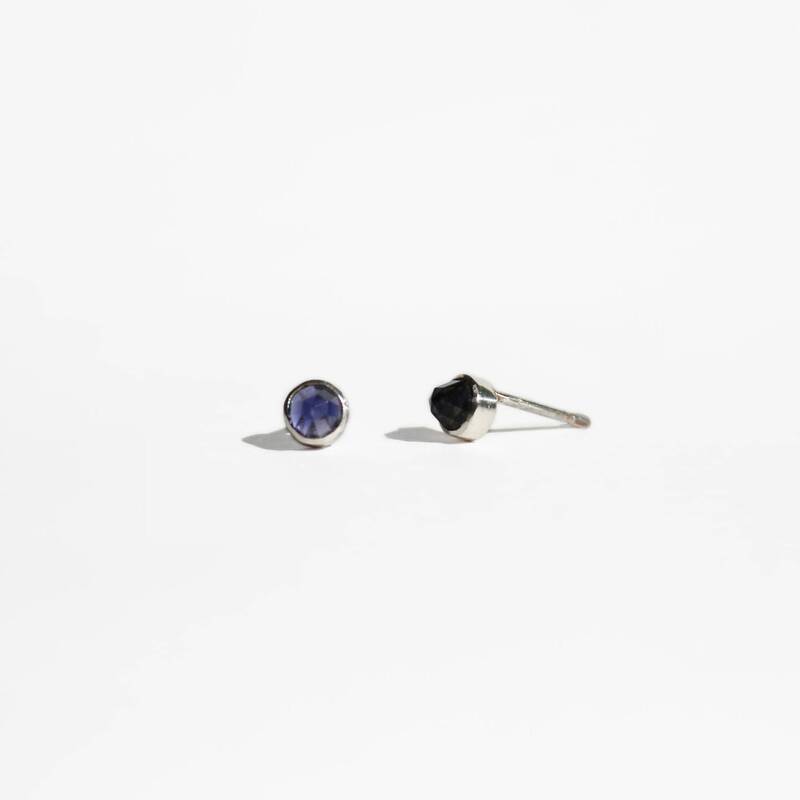 These classic stud earrings feature two 4mm rose cut iolite gemstones, bezel set in sterling silver. 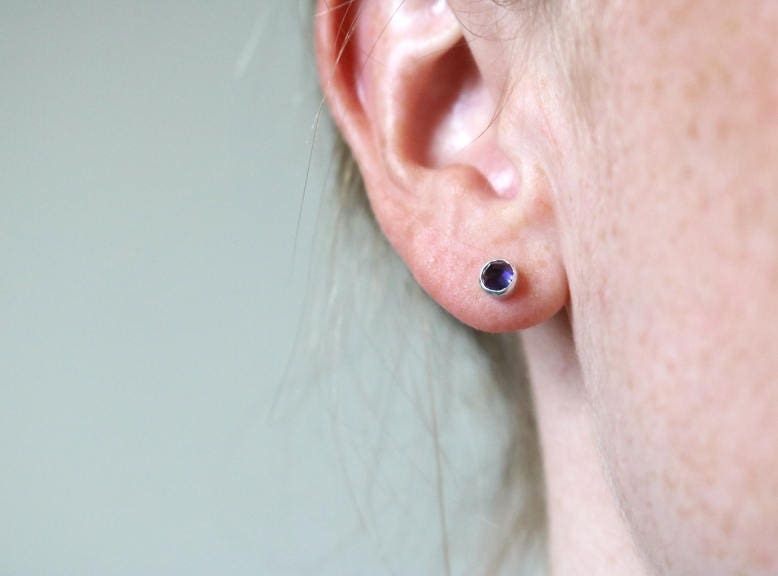 These earrings were a perfect match for the fluorite necklace and I love them! 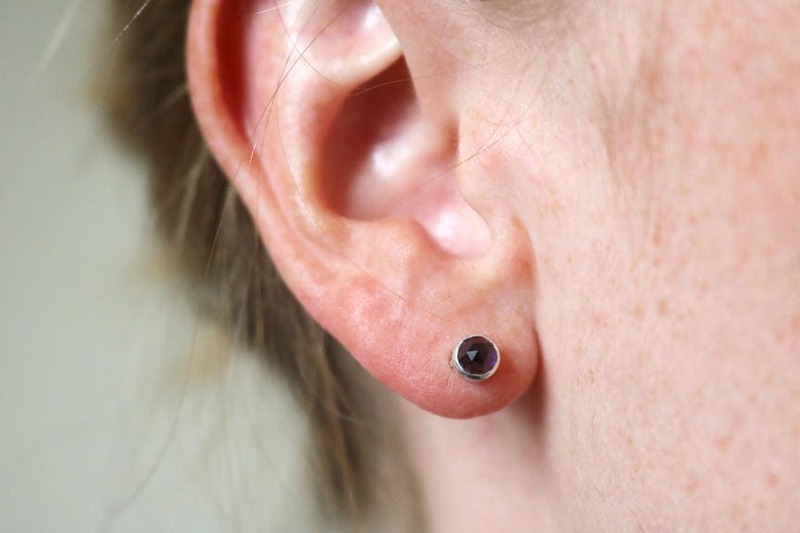 such great quality work.